Michelle met Shane off of OkCupid after starting school in Massachusetts. She was looking to meet someone out of her circle and after talking with Shane for a few weeks, she felt trusting enough to meet him at his house. They went for coffee, he tripped over a wet floor sign, and the rest was history! "That explains our whole relationship..." Michelle explained. "He's cute and clumsy, I'm complicated and know what I want." After a few years of dating, Shane proposed at an apple orchard in Massachusetts. Michelle had stepped away for a moment and when she returned, Shane had the ring on top of an apple. After a little nudge from Michelle to get him talking, he opened up with beautiful words, and she said yes. On October 7th, 2017, the couple was married at Schenectady Rose Garden in New York, surrounded by coral rose bushes. They held hands during their vows, and their 80 guests felt transported into their world of kitschy romance. 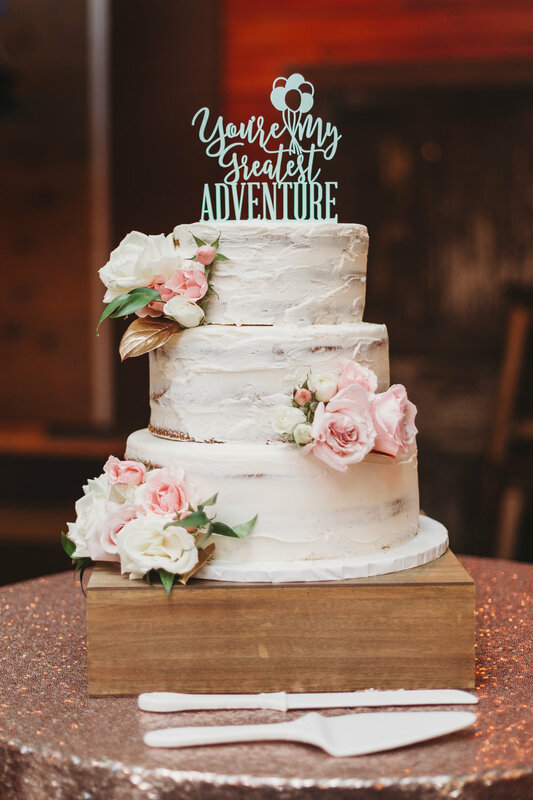 Using a rose garden as their ceremony venue allowed them to save on decoration costs, as they didn't have to add many other flowers for their guests to enjoy natural, colorful beauty. 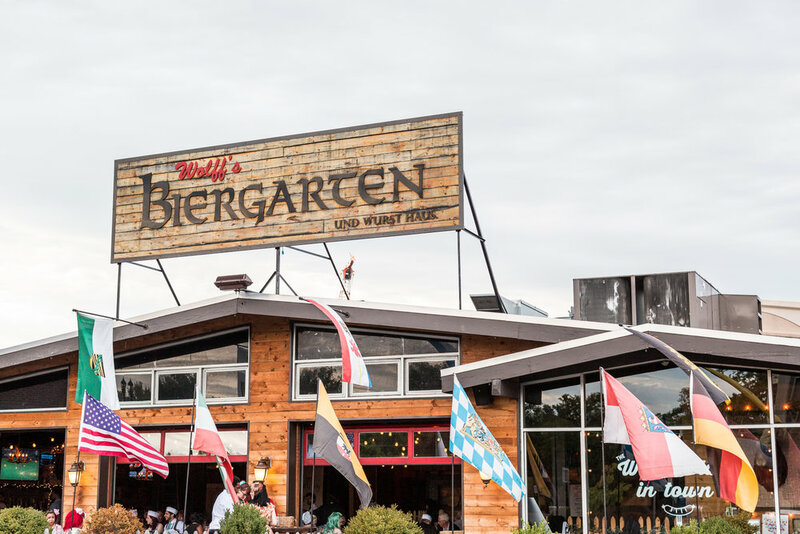 The reception was at Wolff's Biergarten, also in Schenectady. Shane and Michelle knew Wolff's would have the blend of elegant vintage they wanted, with a little bit of edge. They served a traditional, family style meal, which felt rustic, "but not too country," as Michelle put it. They chose apples as their guest favors, a hint to Shane's personal proposal. Vinyl records were displayed as their table numbers, which added to their creative and unique style. To showcase Michelle's love for Disney, their welcome table was themed to the Pixar movie, "Up." It was important to Michelle that she could soak in the day and love how she looked. She is typically shy and hates being the center of attention, but wanted her and her husband to indulge in every aspect of having the perfect day. Michelle found her dress online at a store called Azazie. Finding a dress in a size 28 was tough, especially a short dress with rockabilly flair like she wanted. Azazie had exactly what she was looking for and once she had the dress on, she immediately knew it was the one. 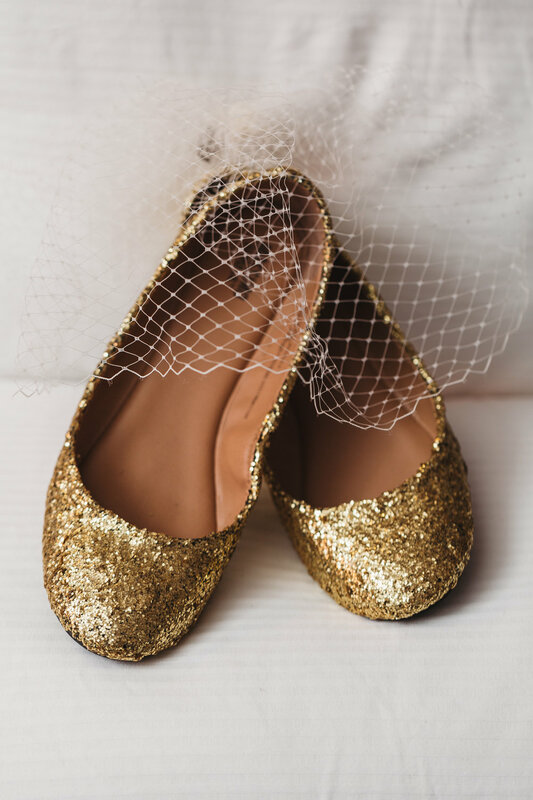 She customized her white flats using gold glitter and modpodge, wore her late grandmother's pearls, and diamond Mickey Mouse Earrings. The last touches were simple, natural make up, and a vintage hairstyle that took hours of hair curlers and blow drying. The bride and groom have several favorite parts of their day. Shane's favorite was their first look. It was raining, but as soon as the couple saw each other and embraced, the rain stopped. It calmed them down, only further proving the strength of their affection. Later in the night, Michelle surprised Shane with a Stanley Cup cake, which started as a joke, but was a welcome surprise treat for the two hockey fans. The couple shared a sweetheart table, where their glitter linen lit up wooden table, and a hand drawn calligraphy tapestry hung behind them, dawning lyrics to a song close to their hearts. There whole event was as if out of a storybook, including a moment where a stranger drove up to their venue in bright vespa for the couple to take photos with. 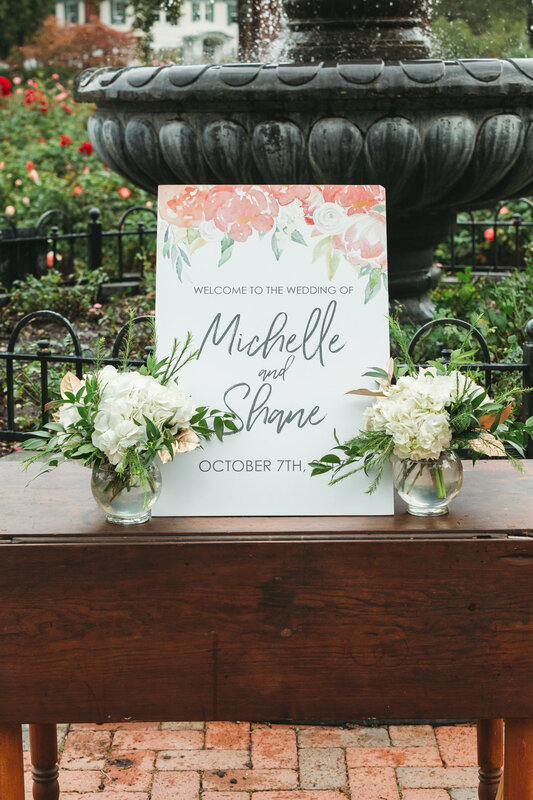 While Michelle feels like they could have had more flowers in their reception location, or purchased a few less decorative items during planning which caused them to go slight over budget ($12k), ultimately everything fell into place exactly as it should have. Michelle and Shane's advice would be to hire a day of coordinator or have a reliable friend or family member take responsibility. Having someone guide the day was a lifesaver for them, especially in moments that became overwhelming. "It's also important to have good bridesmaids and maid of honor," Michelle said. "Pick people you really love." 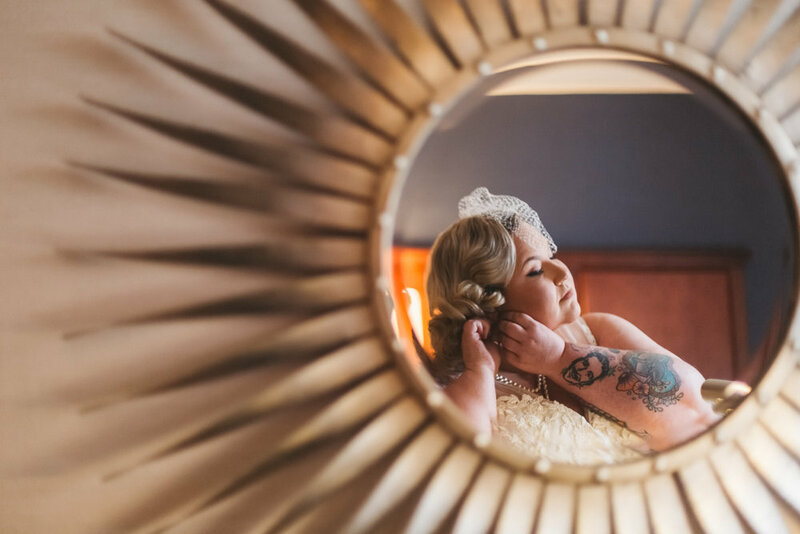 With their friends, family, and loved ones, Michelle and Shane celebrated their love with a spectacular retro wedding for the books.